On Monday 10 June 2013 Roger Mayo will be giving a talk to the Bexley Historical Society on ‘Discovering Blendon Hall’. Visitors are welcome to come along. More details are at Bexley Historical Society. 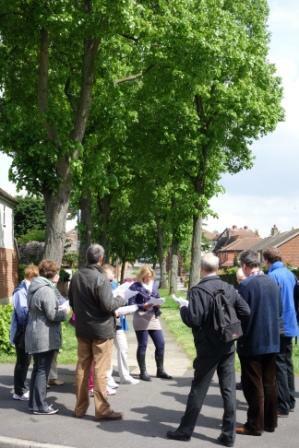 This follows a guided walk that Roger gave to Bexley Historical Society members on 25 May 2013. More guided walks and other events are planned for 2013. Please come back again soon for details!